Established in 1946, our goal is to take available technical, financial, and educational resources, whatever their source, and focus or coordinate them so that they meet your needs as the local land user for the conservation of soil, water and related resources. Within a day, Bennett had his funding for a new agency to restore and sustain the health of the soil. 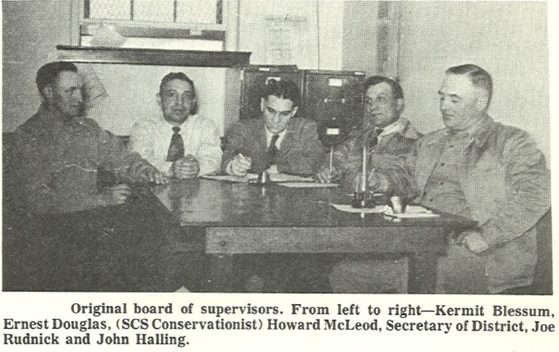 The Soil Conservation Act was passed and the Soil Conservation Service was formed, later called Natural Resource Conservation Service (NRCS).